This whitepaper navigates decision-makers through the issues surrounding a specific technology or business case, explores the business value of adoption, and recommends the range of considerations and concrete next steps in the decision-making process. Until about five years ago, most organisations suffered from a problem that dates from the dawn of human history: lack of information. The situation has reversed, however. Now, organisations are drowning in data. The age of big data has brought with it enormous opportunities for organisations that are able to extract insight and value from all that data, but doing so requires an entirely new approach to thinking about data management and analysis, and an entirely new set of tools. 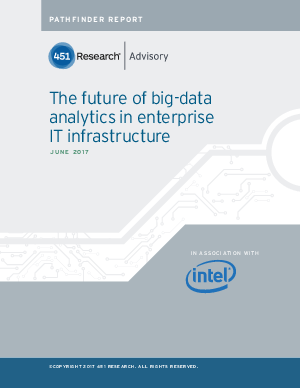 Relational databases and data warehouses developed during the early days of enterprise computing were optimised for rapid processing of mission-critical data that had been carefully curated by professional administrators. Information was precious, and every effort was made to optimise its value. Access was granted on a ‘need to know’ basis, and scarce machine resources limited reports to only the most essential operational data. Data that was deemed non-essential was often thrown away. In contrast, the tools of big data are optimised for sifting through large amounts of structured, unstructured and semi-structured data, much of which may have been previously too expensive to keep. The current problem is how to mine insight from all that data, not how to manage access to it. Scale and low cost have acquired new importance because it is now practical to store and process data that would have previously been destroyed.